Over the next few months, we are going to profile current and former FSE students who are using their knowledge and skills to do great things. 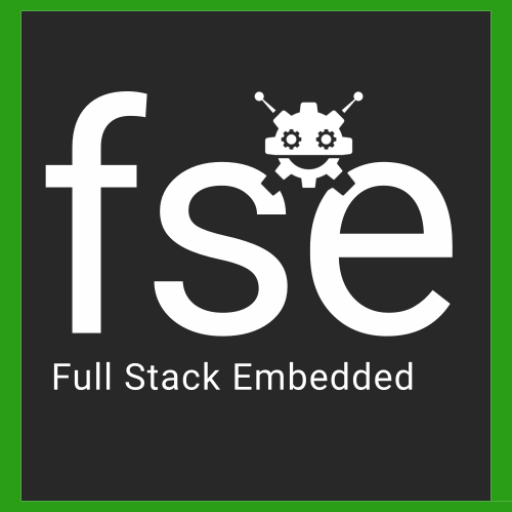 Full Stack Embedded has been around for 5 years, has held dozens of workshops in West and Central Africa, and has fostered hundreds of students in learning robotics and related technologies. In this series, we will take a look at what some of our strongest students have been up to! As one of FSE’s first students, Sidibe Mohamed has been a vital partner to our organization, coordinating lots of FSE’s activities in Ghana, teaching workshops in Burkina Faso, and still finding time to create his own robotics projects! In September of 2018, Sidibe finished work on his prototype for an intelligent fault detecting system for optical fibre lines. Optical fibres are thin strands of glass used mainly to transport information quickly and reliably, such as for an internet connection. Sometimes though, there can be a fault in the line, and the information can’t be transmitted. Right now this problem is usually detected by a person whose job it is to monitor all lines in a network, and then call an engineer to deal with any problems. With Sidibe’s detection system however, the fault would be automatically detected, and the engineer would be notified immediately. This would save a lot of time and guarantee a more reliable and consistent transmission of information than with the current method. Sidibe’s device also records the information about the fault in a webserver, to allow for analysis of trends in connection outages. Sidibe credits FSE for helping him gain a lot of the knowledge he needed to build this device. Our most recent workshops in Ghana, Togo and Congo focused on connecting devices to a webserver, which is a key function of his intelligent fault detecting system. And it’s not only technical knowledge: project planning and management are essential skills that Sidibe honed through his work with FSE. We consider ourselves very fortunate to have had Sidibe as a student in the earliest years of FSE, and as a partner and fellow teacher today. With his relentless energy and drive, we know that he will continue to do great things in the future!